This is perfect for the massage therapists that don’t want to get bogged down with a ton of time-consuming messy stones that take 30 minutes to clean and prepare. 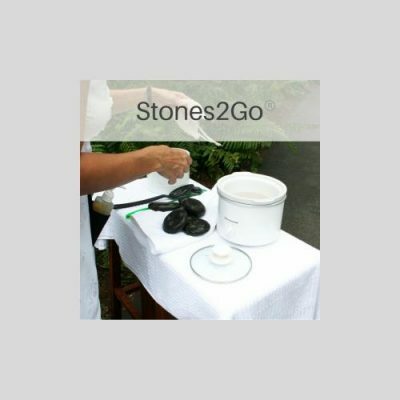 Stones 2 Go® Home Study online is an easy-breezy 8 CEU hot stone training course that is ready to go in 5 minutes and 2 minutes to clean up, so you are ready for back to back clients. Great for mobile house-calls or office. This is perfect for the massage therapists that don’t want to get bogged down with a ton of time-consuming messy stones that take 30 minutes to clean and prepare. No huge roaster or crock pot that will take forever to heat up and make your room hot. This step-by step program is added to your existing massage routine or incorporated into it. Don’t need to learn another routine. This course for CEU’s is approved by NCBTMB, AMTA, and ABMP.